If you ask Crystal Wright the narrative of black Republican women being ostracized by other black voters in their community with online pitchforks and vitriol comments is an old story. Wright, the founder of the Conservative Black Chick blog, said that with a presidential election just 13 months away the more important thing to examine is why black voters feel a blind loyalty to the Democratic Party. "You have this generational mentality that many blacks believe they should vote Democrat and they can't tell you why," according to Wright, a Republican herself. She created her blog in 2009 out of frustration with being told she should be a Democrat because she was black. She was also tired of her opinion pieces being edited down by conservative blogs she contributed to. As 10 Republican candidates prepare for the next debate, black women have more choices than ever for the 2016 presidential election but it's unclear whether they can be wooed from Democrats. In the last two presidential elections, black women voted overwhelmingly Democratic, casting their support for Barack Obama. A National Coalition on Black Civic Participation and Essence Magazine poll released in September found that 88 percent of black women surveyed said they would vote for Obama again in 2016 If they could. But the Republican National Committee sees a window of opportunity this next election cycle. According to CNN exit polls, during the 2014 elections 10 percent of blacks voted Republican, with 89 percent voting Democratic. Those double digit numbers are a sign that some of their new tactics are getting black voters to listen. While black women are most likely to vote Democrat, presidential front-runner Hillary Clinton can't take their vote for granted, according to Tara Wall, senior strategist for media and engagement at the Republican National Committee. She said black women need to consider the growing gaps in economics, unemployment and wealth that they've seen under the Obama administration. "If you're voting for Democratic candidates in the past several years, [ask yourself] what have they done to close these gaps?," Wall said. "Where are the solutions?" She said it's important for black voters to be actively engaged in what both parties are presenting, "and not assume that there aren't concerned Republicans out there working to change communities." 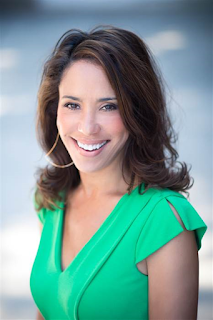 Leah Wright Rigueur, an assistant professor of public policy at the Harvard Kennedy School of Government and author of "The Loneliness of the Black Republican: Pragmatic Politics and the Pursuit of Power", said black women use their race as a guiding principle when voting. "If black women see someone they can identify with politically and personhood wise that informs whatever decision they make when it comes to the polls," Rigueur said. Kristal Quarker Hartsfield, RNC Director of African American Strategic Initiatives, speaks with voters at the Women’s Empowerment Conference in Cincinnati, Ohio. Affordable healthcare, livable wage jobs and college affordability are the most important issues among black women voters, according to the NCBCP and Essence Magazine survey. Among the 1,862 black women surveyed online, the results showed they were interested in presidential candidates who could improve law enforcement/community relations, reduce taxes for low and middle income people and increase the minimum wage to at least $15 per hour. Reproductive choices, expanding voting rights, earned paid time/family leave, entrepreneurship opportunity and immigration reform were other top issues for black women voters, according to the survey. Among survey participants 78 percent said that the Democratic Party best represented the interests of black women, while only 1 percent said the same of Republicans. Eighteen percent said no party had black women's interests in mind. Republicans' historically conservative stance on women and race issues "automatically alienates black women", according to Rigueur. Meanwhile she said the Democratic Party is seen as something of a "venue of uplift" to black women. Republicans have work to do this election cycle but it's still possible to engage black women. "I think what voters appreciate is hearing 'my party has had problems with race and I want to know how we can do better'," Rigueur said. "That's what people want to hear. That's what gets people to listen." In March 2013 the Republican National Committee released its Growth and Opportunity Project report, which gave a 100 page honest introspection on why the party lost in the 2012 elections and how they can capture more voters. The report also mapped out 10 recommendations on how to engage black voters -- from speaking to HBCUs, to developing a database of black leaders, to reaching out to black organizations to studying tactics of Republicans who won in predominately black districts. 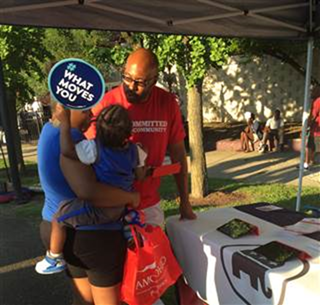 At Family Zoo Day in Cleveland, Brian Barnes, RNC Co–Director of African American Strategic Initiatives in Ohio, gathers feedback from a voter about the issues that matter most to her family. "We are never going to win over voters who are not asked for their support," according to the report. "Too many African American voters have gotten in the habit of supporting Democrats without hearing anyone in their community making a case to the contrary." Since the report was released, the committee has opened offices in Atlanta, Charlotte, Cincinnati, Cleveland and Detroit and is mobilizing staffers to talk to black voters. The RNC is ramping up efforts to visit churches, go door knocking and show up at events for predominantly black organizations like local Urban League and National Association for the Advancement of Colored People chapters. 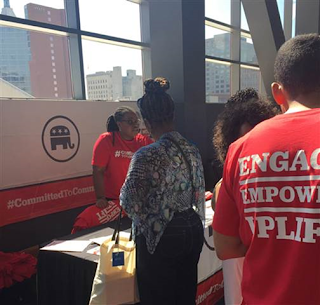 In July the RNC and Radio One networks teamed up for its #CommittedToCommunity campaign which included issue forums and events in communities of color as well as a radio ad campaign. The committee has also been on a data collection spree with black Republicans and staffers equipped with iPads giving voter surveys and gathering feedback about the party during community events. Orlando Watson, communications director for black media at the RNC, said that Republicans are taking these multi-faceted efforts seriously to court the black vote. "The Republican Party is one big team and what we're doing at RNC is very specific but our ultimate goal is to put our nominee in the best position to connect with black voters, " Watson said. Glynda C. Carr, co-founder of Higher Heights for America, a national organization focused on getting black women elected to office, said that outreach to black women isn't enough. Black women want to be politically involved. Carr points out that Republican Utah Rep. Mia Love's congressional win in 2014 is an example of the possibilities of how black women could win in predominantly white districts. She said the Republican Party needs to be more diligent about encouraging and investing in black women candidates, not having them as placeholders during campaign seasons. "Once you fire up a black woman she doesn't go to the polls alone," Carr said. 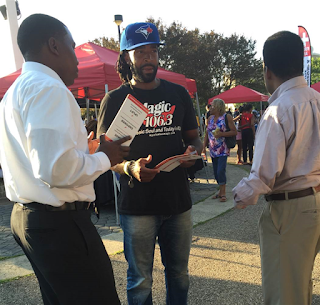 "It's a constituency all candidates should be interested in talking to in an authentic way." Wright said that while she supports her party, Republicans still have a lot of work to do on the diversity front. However, she said Donald Trump's candidacy is an example of how anyone can come in at any time and shake up a political party. "Until the party gets people who look like America saying 'hey we welcome you' it's going to be hard for blacks to take the party seriously when they don't see themselves reflected in leadership and state chapters," Wright said. "However, nobody owns the party or holds the key to the party...it's just as much my party as it is yours." I just sent this letter to NBC News suspending our partnership for the February Debate. I write to inform you that pending further discussion between the Republican National Committee (RNC) and our presidential campaigns, we are suspending the partnership with NBC News for the Republican primary debate at the University of Houston on February 26, 2016. The RNC’s sole role in the primary debate process is to ensure that our candidates are given a full and fair opportunity to lay out their vision for America’s future. We simply cannot continue with NBC without full consultation with our campaigns. The CNBC network is one of your media properties, and its handling of the debate was conducted in bad faith. We understand that NBC does not exercise full editorial control over CNBC’s journalistic approach. However, the network is an arm of your organization, and we need to ensure there is not a repeat performance. CNBC billed the debate as one that would focus on “the key issues that matter to all voters—job growth, taxes, technology, retirement and the health of our national economy.” That was not the case. Before the debate, the candidates were promised an opening question on economic or financial matters. That was not the case. Candidates were promised that speaking time would be carefully monitored to ensure fairness. That was not the case. Questions were inaccurate or downright offensive. The first question directed to one of our candidates asked if he was running a comic book version of a presidential campaign, hardly in the spirit of how the debate was billed. While debates are meant to include tough questions and contrast candidates’ visions and policies for the future of America, CNBC’s moderators engaged in a series of “gotcha” questions, petty and mean-spirited in tone, and designed to embarrass our candidates. What took place Wednesday night was not an attempt to give the American people a greater understanding of our candidates’ policies and ideas. I have tremendous respect for the First Amendment and freedom of the press. However, I also expect the media to host a substantive debate on consequential issues important to Americans. CNBC did not. While we are suspending our partnership with NBC News and its properties, we still fully intend to have a debate on that day, and will ensure that National Review remains part of it. I will be working with our candidates to discuss how to move forward and will be in touch. A chill wind has changed police behavior, and now violent crime is rising. Its victims are almost entirely young black men. Part of being clear-eyed about reality requires all of us to stare—and stare hard—at what is happening in this country this year. And to ask ourselves what’s going on. Because something deeply disturbing is happening all across America. I have spoken of 2014 in this speech because something has changed in 2015. Far more people are being killed in America’s cities this year than in many years. And let’s be clear: far more people of color are being killed in America’s cities this year. And it’s not the cops doing the killing. We are right to focus on violent encounters between law enforcement and civilians. Those incidents can teach all of us to be better. But something much bigger is happening. Most of America’s 50 largest cities have seen an increase in homicides and shootings this year, and many of them have seen a huge increase. These are cities with little in common except being American cities—places like Chicago, Tampa, Minneapolis, Sacramento, Orlando, Cleveland, and Dallas. In Washington, D.C., we’ve seen an increase in homicides of more than 20% in neighborhoods across the city. Baltimore, a city of 600,000 souls, is averaging more than one homicide a day—a rate higher than that of New York City, which has 13 times the people. Milwaukee’s murder rate has nearly doubled over the past year. And who’s dying? Police chiefs say the increase is almost entirely among young men of color, at crime scenes in bad neighborhoods where multiple guns are being recovered. That’s yet another problem that white America can drive around, but if we really believe that all lives matter, as we must, all of us have to understand what is happening. Communities of color need to demand answers. Police and civilian leaders need to demand answers. Academic researchers need to hit this hard. What could be driving an increase in murder in some cities across all regions of the country, all at the same time? What explains this map and this calendar? Why is it happening in all of different places, all over and all of a sudden? . . .
Nobody says it on the record, nobody says it in public, but police and elected officials are quietly saying it to themselves. And they’re saying it to me, and I’m going to say it to you. And it is the one explanation that does explain the calendar and the map and that makes the most sense to me. Maybe something in policing has changed. In today’s YouTube world, are officers reluctant to get out of their cars and do the work that controls violent crime? Are officers answering 911 calls but avoiding the informal contact that keeps bad guys from standing around, especially with guns? I spoke to officers privately in one big city precinct who described being surrounded by young people with mobile phone cameras held high, taunting them the moment they get out of their cars. They told me, “We feel like we’re under siege and we don’t feel much like getting out of our cars.” I’ve been told about a senior police leader who urged his force to remember that their political leadership has no tolerance for a viral video. So the suggestion, the question that has been asked of me, is whether these kinds of things are changing police behavior all over the country. And the answer is, I don’t know. I don’t know whether this explains it entirely, but I do have a strong sense that some part of the explanation is a chill wind blowing through American law enforcement over the last year. And that wind is surely changing behavior. Part of that behavior change is to be welcomed, as we continue to have important discussions about police conduct and de-escalation and the use of deadly force. Those are essential discussions and law enforcement will get better as a result. But we can’t lose sight of the fact that there really are bad people standing on the street with guns. The young men dying on street corners all across this country are not committing suicide or being shot by the cops. They are being killed, police chiefs tell me, by other young men with guns. Lives are saved when those potential killers are confronted by a strong police presence and actual, honest-to-goodness, up-close “What are you guys doing on this corner at one o’clock in the morning?” policing. All of us, civilian and law enforcement, white, black, and Latino, have an interest in that kind of policing. . . . If what we are seeing in America this year continues, we will be back to talking about how law enforcement needs to help rescue black neighborhoods from the grip of violence. All lives matter too much for us to let that happen. We need to figure out what’s happening and deal with it now. Then there was the bias. Usually liberal journalists are far better at hiding their biases than CNBC’s inept and sneering moderators at last night’s debate. Questions asked in an insulting tone, interruptions of candidates in mid-sentence, injections of personal opinion and shouting down candidates attempting to defend themselves. CNBC began the evening full of bravado, showcasing its “star” panelists and then allowing them to deliver vapid commentary on the debate for 15 minutes before the debate started. It ended almost trying to pretend the debate never happened. CNBC quickly switched to a rerun of a show called “Profit,” appropriate since their show could have been called “Loss.” As of this writing, CNBC moderators John Harwood, Carl Quintinella and Becky Quick have been completely silent on their Twitter accounts except for a single odd retweet from Harwood. There were bizarre low points. Harwood went after the income distribution of tax cuts in Marco Rubio’s tax plan and directly disputed Rubio’s contention that Harwood had raised the same issue two weeks ago and had to correct himself. But indeed, Harwood had. Quick then also backtracked for accusing Trump of aiding Marco Rubio “Mark Zuckerburg’s personal senator,” after Trump said he “never said that.” She even apologized to Trump. But Trump was either bluffing or hadn’t read his own immigration plan. The statement about Zuckerberg and Rubio is right there on Trump’s campaign website. Quick noted that later in the debate – but not nearly quick enough. I’ve watched a lot of debates in which liberal media bias has been evident. But I have never seen it unite Republican presidential candidates like it did last night. They rose up in revolt and called out the moderators for it – led by Ted Cruz and followed effectively by Rubio, Christie and Trump. it was an epic moment, and I think it rattled the cages of mainstream media types everywhere. Look for better behaved, more restrained and more prepared moderators in future debates regardless of the network involved. There is an alternative. Ben Carson’s campaign staff has already warned they are thinking of breaking free of the RNC’s debate straightjacket, gathering a bunch of candidates and finding their own debut venue where they have input on the rules of engagement. It was, hands down, the most arresting moment of the Republican debate in Colorado. Cruz’s response was to turn the tables on the moderators, blasting them for the hostility toward the candidates that oozed from virtually every question they had asked so far. By this point, the audience was going wild with cheers. It was brutal takedown, and CNBC’s smarmy moderators had it coming. Cruz is far from the first conservative to rail against liberal media bias, but he did it about as effectively as it can be done in 30 seconds. The clip of that moment will go viral. It may or may not give a boost to Cruz’s presidential hopes, but it will certainly reinforce the public’s sense that the mainstream media isn’t trustworthy. Rubio played the media-bias card, too. When he was asked about a home-state newspaper calling on him to resign from the Senate because of all the votes he has missed while on the campaign trail, he pointed out that he has missed fewer votes than John Kerry and Barack Obama — two former senators who ran for president, and were endorsed by the very same paper. Bush then made the mistake of trying to pile on: “Marco, when you signed up for this, this was a six-year term, and you should be showing up to work.” Rubio’s deft response was to note that Bush claims to be modeling his campaign after John McCain’s — “yet I don’t remember you ever complaining about John McCain’s voting record. The only reason why you’re doing it now is because . . . someone has convinced you that attacking me is going to help you.” Ouch. It was a good night for Cruz and Rubio; a bad night for Bush. But the biggest loser in Boulder wasn’t a candidate: It was the media. "While I was proud of our candidates and the way they handled tonight’s debate, the performance by the CNBC moderators was extremely disappointing and did a disservice to their network, our candidates, and voters. Our diverse field of talented and exceptionally qualified candidates did their best to share ideas for how to reinvigorate the economy and put Americans back to work despite deeply unfortunate questioning from CNBC," said Chairman Priebus. Obama's IRS: "Where Criminals Go Free and Americans Fear Their Government"
Late last Friday the Department of Justice announced attorneys would not be issuing criminal charges to Lois Lerner, the former head of tax exempt organizations at the IRS and the woman at the center of the IRS targeting scandal. 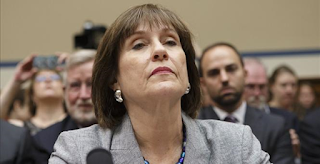 Last year emails revealed former IRS official Lois Lerner was in contact with the Department of Justice Criminal Division about criminally prosecuting conservative tea party groups for pursuing political activity (opposed to President Obama's agenda) by "posing" as non-profit organizations. Now, new documents obtained by government watchdog Judicial Watch through two different Freedom of Information Act lawsuits show extensive collaboration between the IRS and DOJ (and subsequently the FBI) to go after conservative groups with criminal charges. The IRS likely violated federal law by illegally sharing 1.25 million pages of taxpayer information with DOJ, which were contained on nearly two dozen FBI backup tapes. Further, information shows DOJ wanted IRS officials who were scheduled to testify in front of Congress about the targeting scandal to turn over planned remarks to them first before delivering on Capitol Hill. Now that DOJ has issued its non-punishment, individuals and groups targeted by the IRS, DOJ and Lerner are speaking out. "We're still in court fighting it out. The irony even in our court case is that the same attorneys that closed the investigation are also defending the IRS against us in court. This is a lawless generation, a lawless administration where criminals go free and Americans fear their government," True The Vote President and Founder Catherine Engelbrecht said during an interview with Fox News yesterday. "It certainly makes a mockery out of everything we've been through over the past two years." As many as 300,000 veterans have died waiting for care in recent years, but Hillary Clinton thinks the problem is “not as widespread as it has been made out to be.” To view statistical details about the horrendous problem at the VA, see the results of RNC research: Not A “Widespread” Problem? Now, the backlash against Hillary is coming from across the political spectrum . Senator John McCain called on her to apologize. Jeff Miller, House Veterans Affairs Committee Chairman, accused Hillary of “shortchanging veterans.” Even Ann Kirkpatrick, the liberal Obama rubber stamp, is pushing back as is shown in the below report from The Arizona Republic. Clinton says veterans are satisfied and VA woes are "not as bad as it has been made out." A declaration by Democratic presidential front-runner Hillary Clinton that the national crisis in care for American military veterans has been overblown by Republicans has stirred a backlash from advocacy groups and members of Congress from both major political parties. During an appearance Friday on MSNBC, Clinton was asked by interviewer Rachel Maddow whether she had new ideas on how to solve patient-care and scheduling problems at the Department of Veterans Affairs. 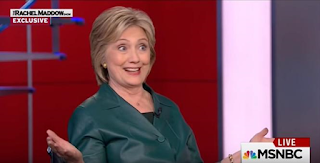 Clinton did not answer the question directly but said surveys indicate veterans are happy with their care and that she believes the scandal has "not been as bad as it has been made out to be." Rep. Jeff Miller, R-Fla., chairman of the House Committee on Veterans' Affairs, said in a written statement Monday that anyone who denies rampant problems in the VA "isn't paying attention." "Whether it's continued delays in veterans' medical care, the blatant waste of billions of taxpayer dollars or a rampant lack of accountability throughout every corner of the organization, there is simply no denying that the problems of the Department of Veterans Affairs are indeed widespread," Miller said. "The VA scandal was caused by dishonest bureaucrats who chose to whitewash the department's problems rather than solve them. Those who repeat that same shameful pattern of behavior are only shortchanging veterans." Clinton and her campaign did not respond to a request for comment. In the MSNBC interview, Clinton said opinion surveys show that, "overall, veterans who do get treated are satisfied with their treatment. ... Now, nobody would believe that from the coverage that you see, and the constant berating of the VA that comes from the Republicans." 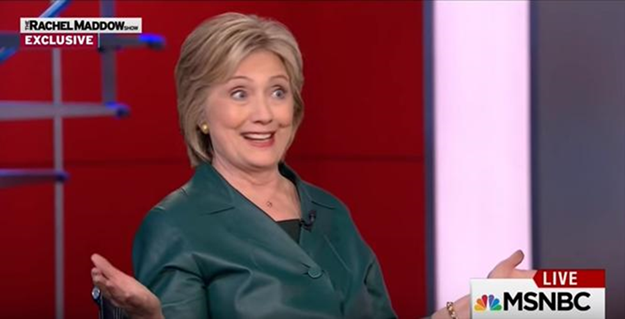 Clinton possibly was referring to a 2013 study, commissioned by the VA, that said 83 percent of patients admitted to veterans hospitals reported a satisfactory experience. The poll did not include those receiving outpatient services or those who were unable to get treatment at all. In a Gallup poll last year, 55 percent of military veterans said getting VA care is somewhat difficult or very difficult. The VA scandal erupted in April 2014 when employees at the Phoenix veterans hospital blew the whistle on dangerous delays in patient appointments, phony wait-time data and corrupt management practices. Internal investigations and congressional probes verified the breakdown was not just an Arizona issue, but pervasive throughout the VA's more than 1,500 hospitals and clinics. The Office of Inspector General concluded that hundreds of thousands of patients were subjected to unacceptable delays in care, and many died while awaiting appointments; wait-time records were falsified or inaccurate at 70 percent of the VA facilities nationwide; and department leadership was contaminated by bullying, reprisal and a lack of accountability. The public furor forced out VA Secretary Eric Shinseki and other administrators, while prompting the largest reform in department history. All of those issues were aired before Miller's committee, and also before the Senate Committee on Veterans' Affairs, which then was chaired by Bernie Sanders, Clinton's chief Democratic rival in the presidential campaign. Sanders, of Vermont, did not respond to an interview request for this story. Clinton contended in her MSNBC appearance that conservatives want to shut down the VA and replace it with a private-care system for veterans. She said the GOP exaggerated departmental flaws and failings "in pursuit of this ideological agenda," and have underfunded the VA because "they want it to fail." Rep. Ann Kirkpatrick, an Arizona Democrat, disagreed. "The problems we've seen at the Phoenix VA are devastating and real," she said in a e-mailed statement. "The VA scandal has nothing to do with partisan politics and everything to do with systemic failure, negligence and lack of accountability." Sen. Jeff Flake, R-Ariz., said veterans and families who suffered awaiting care would be "appalled" by Clinton's perspective. Flake noted that the Department of Veterans Affairs received $16.3 billion in emergency funding last year in a reform package backed by Democrats and Republicans. Adding that veterans have died awaiting care, he said Clinton's comments are "extremely unfortunate because this has been a bipartisan effort." Dan Caldwell, legislative and political director with Concerned Veterans for America, said the Clinton commentary was a shock. "I couldn't believe someone could be that tone-deaf and ignorant of a problem that runs throughout the whole VA system. Especially someone running for president," Caldwell said. The conservative CVA is pushing a reform measure that would dramatically reduce the VA's size and mission. However, Caldwell said, those changes were proposed after the VA's failed care system was exposed, and his group has never advocated abolishing the department. "This is a scandal driven by the VA's own incompetence and refusal to embrace reform," he said. (1) The VA's struggles are attributable to the GOP's refusal to adequately fund the agency, with its failure being a deliberate ideological goal. Wrong on all counts. The VA's problem is not underfunding; its budget nearly tripled between 2000 and 2012, outpacing both the rate of medical price inflation and new patient demand. In the wake of the VA scandal, which shocked and angered Americans, Congress earmarked billions in additional funds for the agency. The wait time problem has gotten worse. Providing quality healthcare to the veterans who've earned our help is a bipartisan priority. It's one of the few forms of government-run healthcare that both sides agree is appropriate. The VA mess has nothing to do with Republican ideology or insufficient government expenditures. It's failing all on its own, under the crushing weight of bureaucratic excess, inefficiency and corruption. (2) The VA scandal itself has "not been as widespread as it has been made out to be." By what possible metric? The agency's Inspector General has called the wait time manipulation abuses "systemic" in nature. Here's a Daily Beast headline from last spring: "VA Admits Fraud is 'Systemic.'" USA Today: "Delayed care is everywhere." Another IG report published this fall concluded that, "more than 300,000 American military veterans likely died while waiting for health care -- and nearly twice as many are still waiting...[the report] says 'serious' problems with enrollment data are making it impossible to determine exactly how many veterans are actively seeking health care from the VA." Once again, the already-unacceptable wait times have increased. "Not widespread," Hillary shrugs. (3) Those veterans who do manage to get care are satisfied with their treatment. Some veterans do get good quality care from the VA. Others have had decidedly negative experiences. The trouble is that far, far to few of them receive timely care. That's the whole problem -- the chronic, broad-based cover-up of which exploded into a major scandal. Clinton denounces (and overstates) Republicans' desire to "privatize" the VA, but guess who favors increased private options within the system? The vast majority of veterans, according to poll reported by the Military Times in February. Hillary Clinton tries to lay this abject failure of big, corrupt, inept government at the feet of her political opponents, relying on flimsy evidence and outright distortions to do so. Her mistaken belief that the scope of the VA scandal has been overblown by Republicans betrays a fanatical partisanship and unbending ideological commitment to the proposition of ever-expanding government, no matter how stark and tragic its failures may be. She is wholly incapable of fixing a problem that she willfully refuses to even acknowledge; the result is crippling denial, coupled with partisan point-scoring. Her callousness and cluelessness demonstrated in the clip above present an opportunity for conservatives to build both a political case against her as a candidate, and an ideological case against sprawling, unaccountable Statism. The ponderous federal bureaucracy can't even properly execute critical, consensus tasks on which virtually all Americans agree. Perhaps we shouldn't be empowering them with even more authority and responsibility. “Even Democrats Say The Economy Stinks” was the title of a Wall Street Journal editorial which put into sharp focus the fact that during the first Democratic Party presidential debate, all of the candidates agreed that, after seven years of the Obama presidency, the middle class is suffering. Yet, those same Democrats advocated for more of the same failed socialist policies. More specifically, the Wall Street Journal editorialized: At Tuesday night’s Democratic debate, not one of the five candidates even attempted to defend the results of President Obama’s economic policies. Instead their blistering critiques of the status quo showed they all agree on at least one point: Today’s economy is a disaster for hard-working Americans … Look past the pro forma Republican bashing, and Tuesday’s message is stark: After nearly seven years of Barack Obama in the White House, America’s working families are struggling in an economy with fewer good jobs, stagnant paychecks, growing inequality and a system that rewards billionaires while hard-working Average Joes are left behind. And this is the Democratic talking point. If Republicans want to make the case against Obamanomics, they can start by quoting Democrats. Below is an article with details about how black Americans -- out of loyalty to President Obama and Democratic Party politicians -- turn a blind eye to the damage the Democrats’ failed socialist policies cause to poor black people. I couldn’t help but watch with sadness the National Urban League’s annual “State of Black America” report being released at a press conference. This was their 39th annual report. According to their press release, “it has become the most highly-anticipated benchmarks and sources for thought leadership around racial equality in America across economics (including employment, income and housing), education, health, social justice and civic engagement. Each edition of the State of Black America contains thoughtful commentary and insightful analysis from leading figures and thought leaders in politics, the corporate arena, NGOs, academia and popular culture. The theme of the 2015 State of Black America¨ “Save Our Cities: Education, Jobs + Justice” conveys the urgency of focus around each of these areas and their interconnectedness in our ongoing quest for full equality in America. As you might guess, I have a different point of view. The state of Black America in 2015 is not in crisis; but rather the state of the “media appointed Black leadership” is in crisis. This includes organizations and people like the National Urban League (headed by Marc Morial), National Action Network (headed by Al Sharpton), the NAACP (headed by Cornell Brooks), and the Congressional Black Caucus (headed by Democratic Congressman G.K Butterfield of North Carolina). All of the above groups and their “media appointed leaders” have one thing in common: they all are vestiges of the Democratic Party. They are all card-carrying members of the Democratic Party and all of their proposed solutions to what ails the Black community come straight out of Democratic talking points. The interesting thing is that these groups and their leadership are totally out of step with the grassroots within the Black community. Blacks consistently support marriage between a man and a woman; and school choice and vouchers more than any other group. But this group’s “leadership” has been willingly hijacked by the fringe left at the expense of the very people they claim to represent. The saddest part of watching Morial’s press conference last week was that he refused to state the obvious—that the past six years under Obama, America’s first Black president, has been an unmitigated disaster for Blacks. Mr. Obama’s campaign theme in 2008 was “Hope and Change.” Now, after six years, people, especially Blacks, are saying they have no hope that he changes. Mr. Obama is the first president in the history of the U.S. to deliberately ignore his largest voting bloc — the Black community. We are 13 percent of the population and gave Mr. Obama 96 percent and 94 percent of our vote in 2008 and 2012, respectively. In 2012, the Black voter participation rate (66.2 percent) was higher than overall turnout (58 percent) and, for the first time in the history of the U.S., higher than the White rate (64.1 percent). So, where is the “voter suppression” that liberals keep talking about? If Mr. Obama was a corporation, his largest shareholders would be: Blacks, Whites, Latinos and Asians. In capital markets, dividend payouts are distributed according to percentage of ownership, from the highest to the lowest. On this principle, Blacks should be the largest recipient of Mr. Obama’s largesse. But in typical Democratic fashion, Blacks don’t even get crumbs from the table. The biggest beneficiaries of Mr. Obama’s presidency are: homosexuals (an estimated 2 percent of the population), illegals, Hispanics and Whites. I challenge my readers to name one thing Mr. Obama has done “specifically” to benefit the Black community — the largest shareholder in “Obama Inc.” If Black voters were shareholders in “Obama Inc.,” they could have gone to court and sued for fraud and breach of contract — and prevailed. The Black community had every expectation that Mr. Obama would provide “targeted” remedies to address seemingly intractably high unemployment within our community. Instead, the Black unemployment rate rose from 10.3 in January of this year to 10.4% last month; yet the national rate fell from 5.7% to 5.5% during the same period--and not a word from this president. Blacks had every right to expect Mr. Obama to be supportive of Historically Black Colleges and Universities (HBCUs). Instead, the HBCU community and its students have been devastated under this president; but yet they continue to swear their allegiance to Obama’s presidency. According to the Urban League’s own numbers, “the median African American household income was $34, 815, or only 60 percent of the $57,684 for white households. Blacks were more than twice as likely as whites to live in poverty. These negative indices didn’t begin under Obama, but there is no denying that they have accelerated during the past six years. If we had a White president presiding over these types of economic numbers, Democrat or Republican, Blacks would be screaming to the high heavens about the state of the Black community. The first thing Blacks must do is to accept the fact that Obama is the problem, but we all know that will not happen. 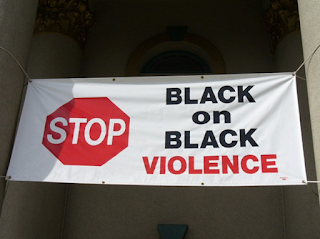 The state of Black America is denial. Raynard Jackson & Associates, LLC is an internationally recognized political consulting, government affairs, and PR firm based in Washington, DC. 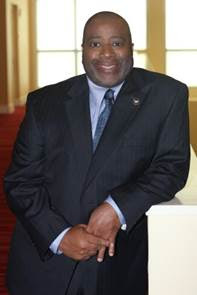 Jackson is an internationally recognized radio talk show host and TV commentator. He has coined the phrase “straticist.” As a straticist, he has merged strategic planning with public relations. Call RJA to discuss how they can get you to the next level of your career. Former President George W. Bush did not lie about the presence of weapons of mass destruction to justify the Iraq War, journalist Bob Woodward said Sunday. The argument has been used for years by Democrats and other detractors, but Woodward said on "Fox News Sunday" that his own 18-month investigation showed that Bush was actually skeptical that Iraqi President Saddam Hussein had WMDs as Saddam claimed. Though plenty of mistakes were made in the invasion of Iraq, Bush actually told CIA Director George Tenet, "Don’t let anyone stretch the case on WMD," Woodward said. The reason the United States went into Iraq was "momentum," he said. "That war plan kept getting better and easier, and finally at the end people were saying, 'Hey, look, it'll only take a week or two.'" Though it can be argued the war was a mistake, Woodward told host Chris Wallace, "there was no lie in this that I could find." As for President Barack Obama's decision to leave no residual force behind when American troops left Iraq in December 2011, Woodward indicated it would have been better to have left 10,000-15,000 troops behind as "an insurance policy" as military commanders suggested. "We have 30,000 troops or more in South Korea still, 65 years or so after the war," Woodward said. "When you’re a superpower, you have to buy these insurance policies, and he didn’t in this case. I don’t think you can say everything is because of that decision — but clearly a factor." The grand illusion of zealots for laws preventing ordinary, law-abiding people from having guns is that "gun control" laws actually control guns. In a country with many millions of guns, not all of them registered, this is a fantasy and a farce. Guns do not vanish into thin air because there are gun control laws. Guns -- whether legal or illegal -- can last for centuries. Passing laws against guns may enable zealots to feel good about themselves, but at the cost of other people's lives. Why anyone would think that criminals who disobey other laws, including laws against murder, would obey gun control laws is a mystery. A disarmed population makes crime a safer occupation and street violence a safer sport. The "knockout game" of suddenly throwing a punch to the head of some unsuspecting passer-by would not be nearly so much fun for street hoodlums, if there was a serious risk that the passer-by was carrying a concealed firearm. Being knocked out in a boxing ring means landing on the canvas. But being knocked out on a street usually means landing on concrete. Victims of the knockout game have ended up in the hospital or in the morgue. If, instead, just a few of those who play this sick "game" ended up being shot, that would take a lot of the fun out of it for others who are tempted to play the same "game." Even in places where law-abiding citizens are allowed to own guns, they are seldom allowed to carry concealed weapons -- even though concealed weapons protect not only those who carry them, but also protect those who do not, for the hoodlums and criminals have no way of knowing in advance who is armed and who is not. Another feature of gun control zealotry is that sweeping assumptions are made, and enacted into law, on the basis of sheer ignorance. People who know nothing about guns, and have never fired a shot in their lives, much less lived in high-crime areas, blithely say such things as, "Nobody needs a 30-shot magazine." Really? If three criminals invaded your home, endangering the lives of you and your loved ones, are you such a sharpshooter that you could take them all out with a clip holding ten bullets? Or a clip with just seven bullets, which is the limit you would be allowed under gun laws in some places? Do you think that someone who is prepared to use a 30-shot magazine for criminal purposes is going to be deterred by a gun control law? All the wonderful-sounding safeguards in such laws restrict the victims of criminals, rather than the criminals themselves. That is why such laws cost lives, instead of saving lives. Are there dangers in a widespread availability of guns? Yes! And one innocent death is one too many. But what makes anyone think that there are no innocent lives lost by disarming law-abiding people while criminals remain armed? If we are going to be serious, as distinguished from being political, we need to look at hard evidence, instead of charging ahead on the basis of rhetoric. Sweeping assumptions need to be checked against facts. But that is seldom what gun control zealots do. Some gun control zealots may cherry-pick statistics comparing nations with and without strong gun control laws, but cherry-picking is very different from using statistics to actually test a belief. Among the cherry-picked statistics is that England has stronger gun control laws than the United States and much lower murder rates. But Mexico, Brazil and Russia all have stronger gun control laws than the United States -- and much higher murder rates. A closer look at the history of gun laws in England tells a very different story than what you get from cherry-picked statistics. The murder rate in New York over the past two centuries has been some multiple of the murder rate in London -- and, for most of that time, neither city had strong restrictions on the ownership of guns. Beginning in 1911, New York had stronger restrictions on gun ownership than London had -- and New York still had murder rates that were a multiple of murder rates in London. It was not the laws that made the difference in murder rates. It was the people. That is also true within the United States. But are gun control zealots interested in truth or in political victory? Or perhaps just moral preening?